Sign up to seasonal layering. 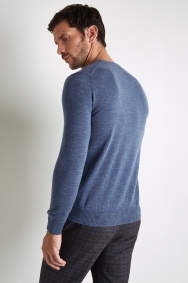 With this blue denim crew-neck jumper to hand you’ll always have a fail-safe option when the temperature drops. 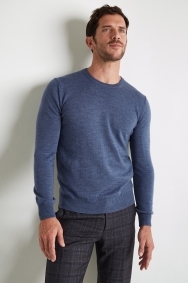 Made in Italy from 100% merino wool, it’s both warm and soft, yet offers excellent breathability to keep you feeling fresh and comfortable all day. 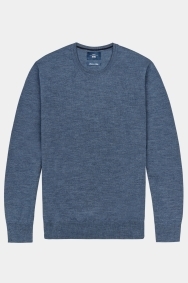 The lightweight design of this Moss 1851 sweater makes it ideal for slipping on over a shirt, while the versatile colour means it can be worn as smart office attire or as part of an off-duty outfit.